There are many opportunities for hiking around the campground and also around the area. 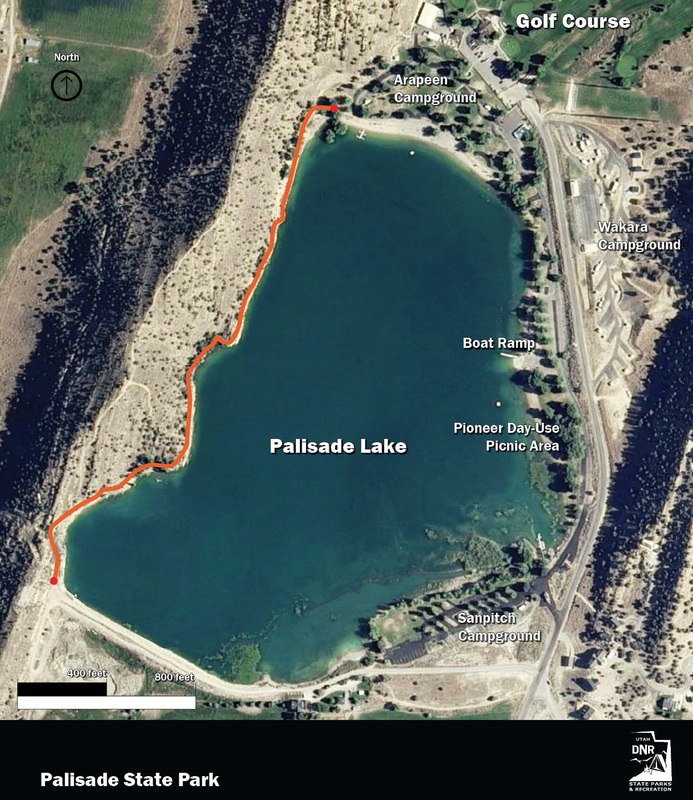 There is a great trail that travels around the west side of the reservoir and continues over the dam and around through the campground loop. It is just over one and a half miles to do the whole loop. There are also some trails that take you higher on the hillside west of the lake. Once you get up top you have great views of the valley and farmland down below. This trail is a great way to see the beautiful area and to get some exercise in for the day.